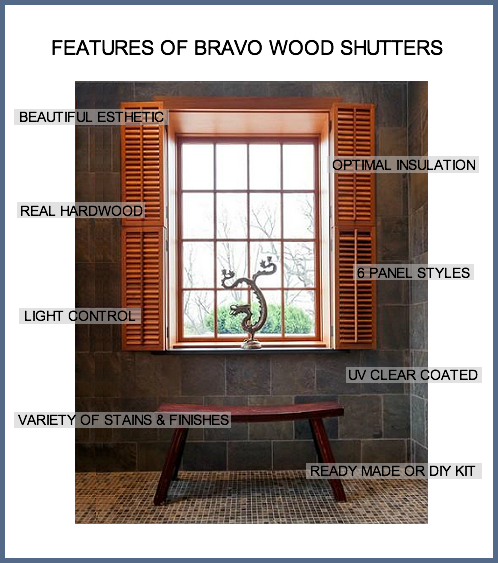 Bravo's Real Wood Shutters are made from finest grades of Plantation Poplar (cottonwood) hardwood, precision milled, kiln dried at low temperature and sanded. Our edge grained and edge glued with Mortise, tenon joints and recessed screws give them maximum strength.Plantation shutter or interior wood shutters are perfect for any decor. 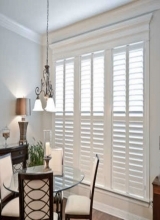 These custom shutters have beautiful esthetics and fit any window or door. DIY shutters are also ready!